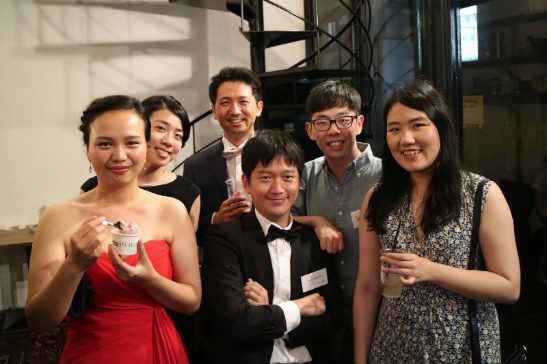 The Oxford Alumni Club of Japan, one of the volunteer alumni societies in Japan will be organising a summer evening party on Saturday 1 September. The “Great British Summer Bake Off Ball” will feature some modern takes on British classics, including Fish & Chips, Pimm’s, Elderflower Cordial, G&T, Victoria Sponge, Carrot Cake and a more. The Oxford Alumni Club invites all alumni, current students, former visiting scholars, exchange students and others associated with the University of Oxford to join them and Professor Takehiko Kariya of the Nissan Institute of Japanese Studies at this event. Similar previous events held by this Club have been extremely popular attracting over 90 people, and have proven a excellent opportunity to connect with former students and scholars in an informal manner. Family and guests with a strong connection to the University are welcome. Spaces are limited, so book early to avoid disappointment. Tokyo will host the Oxford Alumni Weekend from 22 - 24 March 2019. More details will be available in October, but if you are an Oxonian please save the date as this is an event not to missed.